Title: The Jesus Phenomenon: How Did It Originate? What Is the Hidden Secret? 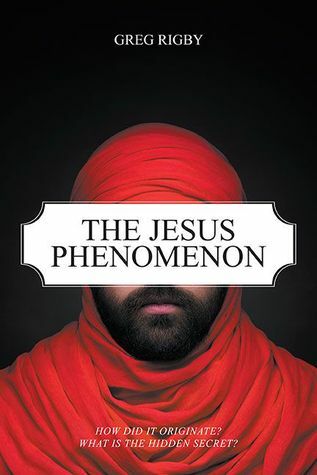 Synopsis: The Jesus Phenomenon examines the likely possibilities for the existence of the person who became known as Jesus Christ. The book looks at his most likely ancestry, the link with David and why that might have been important, the bloodline that led to his conception, the implications after his death, and the possibility that there are direct descendants. The author examines the evidence and investigates the various possibilities for a credible and realistic basis of the Jesus Christ story and the claim that Jesus was the "Son of God." This insightful book proposes a radical new hypothesis that fits all the facts as we know them and eliminates many of the conventions at the heart of Christian teaching. About the Author: Greg Rigby was brought up as a Roman Catholic and spent time in a monastery as a teenager. He has spent his life looking for the answers to questions that many take for granted. He now lives in Sherwood Forest in the UK and is working to decipher the Book of Revelation. Review: Interesting and well researched. An interesting hypothesis that is backed up with plenty of excerpts from other texts and sound interpretations of the research done. Unfortunately, it is not as well written as I would expect a book expounding on such a topic to be. Numerous structuctural, grammatical, and other mistakes greatly take away from what is clearly hours of research and well-thought-out analysis. With a good round of editing, I would give this book another point or two.